We Have More Great Sciencing Articles! What Type of Vegetation Is Found in Coral Reefs? Seaweeds, also known as macroalgae, comprise a diverse group of organisms representing various growth forms. In general, seaweeds are divided into three groups based on their color— green, brown and red—although colors within these groups vary. 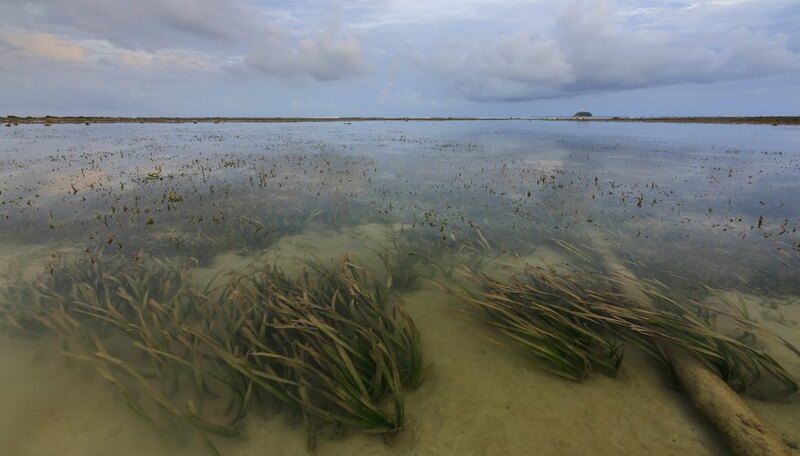 Seaweeds appear similar to land plants; however, seaweeds lack the complex reproductive structure (flowers) and functional tissues (roots, stems and leaves) found in seagrass and land plants. The three seaweed groups include brown (Phaeophyta), red (Rhodophyta) and green (Chlorophyta) with kelps included in the brown group. The brown group contains approximately 1,500 species, and comprises the largest and most complex body structure of any other algae. Most species are marine and benthic (attach to the ocean floor or other hard surface). The stem-like stipe on each side is lined with large leaf-like structures (blades); the stipe and blades are collectively known as the frond. Gas-filled bladders cause the upper end of the stipe to float on the ocean surface. Brown algae include the bottle brush (Analipus japonicus), rockweed (Fucus gardneri) and witch’s hair (Desmarestia virdis). Consisting of more than 4,000 species, almost all red algae grow in marine environments. Not as large as brown algae, the red seaweed body (thallus) is built of complex, branched filaments. Red are benthic, but their distinctive combination of photosynthetic pigments allows them to survive in deeper water. Some species secrete calcium carbonate, which significantly contributes to coral reefs. Red algae include the bleachweed (Prionitis), sea brush (Odonthalia floccose and winged rib (Delesseria decipiens). 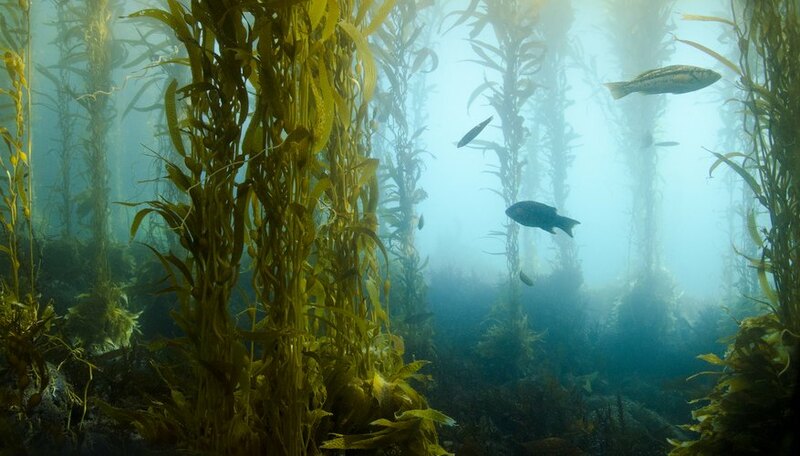 Green seaweed comprises over 7,000 species. While most are marine, many can be found in fresh water. 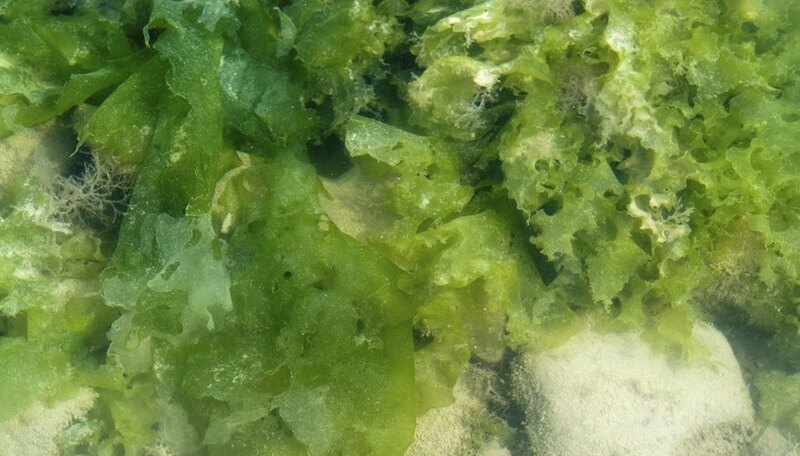 Found along both rocky and sandy beaches, some green seaweeds tolerate low-salinity colonizing areas where rivers meet the sea. 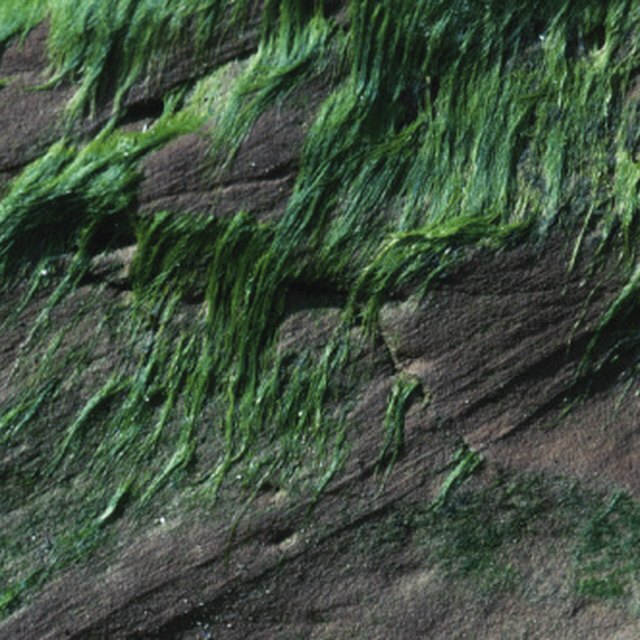 Green algae range from the single-celled to moderately complex structures. Examples of green seaweed include the dead man’s fingers (Codium fragile), green rope (Acrosiphonia coalita) and sea lettuce (Ulvaria). Seaweeds reproduce both asexually (vegetative growth) and sexually through the release of spores. Seaweeds also exhibit a wide range of development strategies. Some species, especially green algae, grow rapidly when nutrients (nitrogen) are available, only to reproduce and die once the nutrients are depleted. Other species are perennial and never seem to stop growing, even in adverse conditions such as severe water temperatures or limited sunlight. 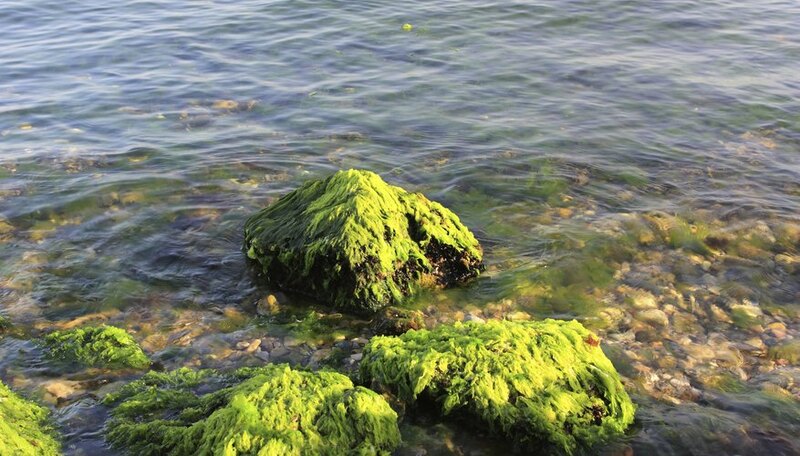 Most seaweed attaches to hard surfaces such as rocks, shells or other algae, using a specialized basal structure called a holdfast; however, a few seaweed species survive over mud or sandy bottoms. Seaweed is autotrophic, which means it produces its own food; using sunlight, macroalgae convert carbon dioxide and water into oxygen and sugar (photosynthesis). Microalgae also provides a food source for many plant-eating marine animals, such as snails, sea urchins and fish, as well as a natural habitat by expanding into extensive beds. Suzanne Fyhrie Parrott is lead graphic designer and owner of OneWay Advertising & Design and founder, owner of Unruly Guides DIY ePublishing. Parrott provides professional advertising, graphic design and book formatting services including book-cover design, website design, Internet marketing strategies, as well as tips, how-to tutorials and videos on ebook formatting, marketing and promotion. What Does Seaweed Need to Live? Is Algae a Decomposer, a Scavenger or a Producer? Fyhrie, Suzanne. "Characteristics of Seaweed." Sciencing, https://sciencing.com/characteristics-seaweed-6384271.html. 25 April 2017.